Dietary Supplement. 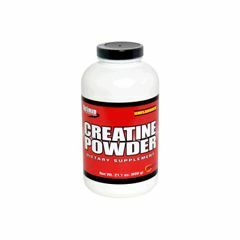 Each serving (one teaspoon) of Optimum Nutrition's Creatine Powder supplies 5 grams (500 mg) of Pure Creatine Monohydrate. The patented production method used to produce this Creatine yields a tasteless, odorless powder that mixes easily into water or juice and does not readily settle to the bottom. As a result, the gritty taste or texture you may have experienced with other Creatine powders is not associated with this product. Optimum Nutrition's Creatine Powder is produced and packaged in our own state-of-the-art manufacturing facility in accordance with current Good Manufacturing Practices (cGMP?s). Suggested Use: Consume 2- to 25g of Creatine Monohydrate for 4 to 5 days to help promote muscle saturation. Maintain Creatine levels with 5 to 7g per day, thereafter. For best results, mix 1 rounded teaspoon of Optimum Nutrition's Creatine Powder into 8 oz of cold water or your favorite sugary, non-acidic and non-caffeinated beverage. Store in a cool, dry place.